With a Jeep Wrangler, you're not just getting a looker to parade around town-you're driving a beast that can take on anything Mother Nature can throw at it. As the most capable SUV, as well as proudly sporting the Trail Rated® badge, the Wrangler has been put through brutal testing to ensure it can take on the toughest trails on the planet. Behind the wheel of this kind of power, even the harshest of Canadian city or highway road conditions become a breeze. 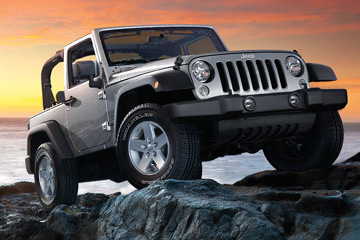 For the ultimate in offroading capability, nothing else comes close to the Jeep Wrangler Rubicon®. It takes you beyond the places other vehicles would back down, by virtue of its Best-in-Class ground clearance, manoeuvrability, approach angle, and departure angle. 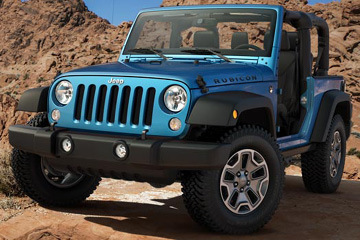 Further benefits arise from acclaimed features like the Rock-Trac® transfer case that bestows the driver with more precise control, as well as electronic front sway bar disconnect, rear locking differentials, and Dana® heavy-duty solid front and rear axles that work together in making the Rubicon® a true adventuring machine. 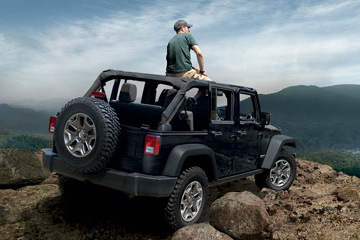 Built to drive in almost any conditions and varying terrain, the Wrangler also comes ready to tackle the unexpected with a long list of standard safety features to keep you protected and on the right track. Features like the Hill Start Assist work with you on steep inclines to prevent the vehicle from rolling, Electronic Stability Control (ESC) that monitors your input against the vehicle's course to provide further control, Energy-Absorbing Front Rail Extensions that protect from low-speed impact damage, and many more, all designed for on- and off-road safety so you can more fully enjoy the adventure itself. 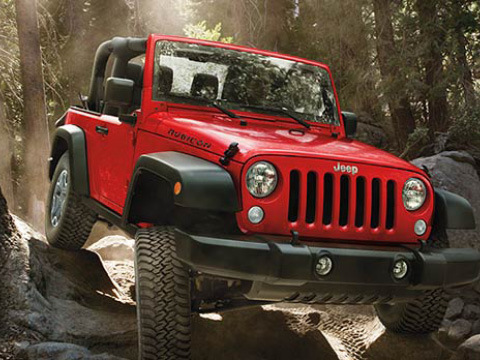 Just because the Wrangler is optimized for off-roading adventure doesn't mean you don't get to enjoy a bit of luxury. Keep in touch and talk to your contacts with the available Hands Free Communication through Bluetooth® streaming audio. Stay connected and on track with Radio 430 and Radio 430N multimedia centres with everything you need for your portable devices, including a USB port and 28 GB hard drive, accessed with ease through a 6.5-inch touchscreen. No adventure would be complete without playing your custom soundtrack on the available Alpine Premium Audio System, while staying in the loop with current events on Sirius Satellite Radio.